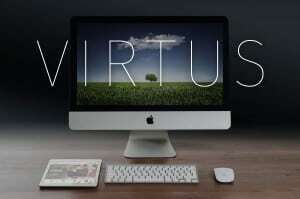 Virtus: a powerful website builder and hosting platform for online business. Why is Virtus so special? Virtus Platform was created using WordPress at it’s core offering amazing benefits from the moment a new client creates a website with us. The award winning interface and functionality that WordPress offers is second to none. But it doesn’t stop there – our team of developers work hard to improve the WordPress core for our business customers by introducing tools that help with the day-to-day running of the site and contribute towards lead generation. WordPress has been optimised, Virtus extends and improves the Content Management System (CMS) that the developers at WordPress have created. The result is a powerful engine that maintains website after website, all websites that are created on the platform inherit the power that Virtus contains and provides our clients with a complete website solution very quickly. What makes our platform super-great though is the transparent, no nonsense, fixed pricing. When you think about where to create your website and improve your business on-line, have a short conversation with a member of our Client Success Team. Join our family of successful clients today and you too can benefit from WordPress + The Platform.